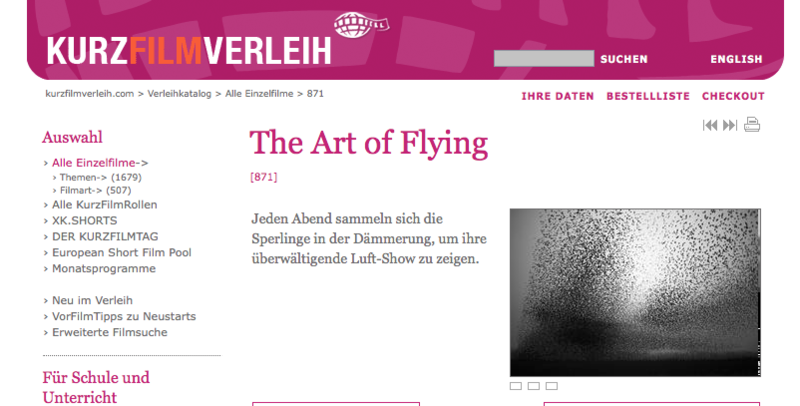 KurzFilmVerleih in Hamburg, Germany will do the European theatrical distribution of The art of flying. Posted on 18/02/2016 by fotojan. This entry was posted in Film-projects, The art of flying. Bookmark the permalink.